The default Windows Disk Management software is a powerful tool to take care of most of your partition administration related tasks. However, though Windows has itself done a lot of changes to its GUI since the time of Windows XP, its Disk Management software still looks like a legacy software. This UI can look quite complex to today's smartphone generation which is used to cool looking large buttons with one click action to get the task done. For those who want a better, easier option with more advanced features for taking care of your disk management related tasks, you should take a look as EaseUS Partition Manager. Offering a free home solution for users of Windows 10/8.1/8/7/Vista/XP, EaseUS can ease your pain of managing your computer partitions. As soon as you launch this disk partition tool you will be shown a summary of the state of your computer memory with their names and the space allocation. Just like the Windows Explorer interface, here too you have all the features of the software displayed comfortably in the Top bar and the left side bar. OS Migration from disk to SSD - One can create a complete backup of the whole OS itself using EaseUS Parition Manager. Just attach a SSD through the USB port of your computer, select the option Migrate OS to SSD/HDD and voila! You have your whole OS backed up in your external hard drive. Make sure you attach an empty external drive only because OS migration needs an empty hard drive otherwise EaseUS will delete the partitions in your external drive leading to loss on your data. Resize/Move Partition - The feature can be used to get free space out of the already allocated space to the Windows partitions or to allocate any preexisting space to an already existing partition. The unallocated space can be used to increase the size of any other partition that you have or just to create a new partition too. Copy Partition - You can create a copy of a whole partition to serve as a backup for you. The copy can be of the partition containing the OS or your other partitions too. However, you should note that the Copy Partition term used here actually refers to creating a partition and not just copying the files. 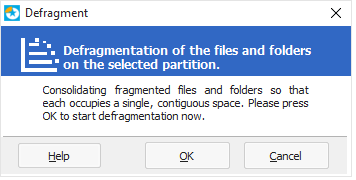 So, if you decide to use the Copy Partition feature then it means you will have to provide a destination unallocated space where the exact replica of the partition can be created. Merge partition - Merge partition allows you to merge two or more partitions. This is quite useful when you have too many small sized partitions and you want to merge them to 2-3 to make your life easier while searching for a particular file in case you have forgotten its actual location. Convert to Primary/Logical - You can have only 3 Primary partitions and or 2 Primary and 1 Extended (Logical) partition on a system. For those of you who don't know, a primary partition cannot be further divided into more partitions, but an extended partition can be divided into 63 logical partitions. 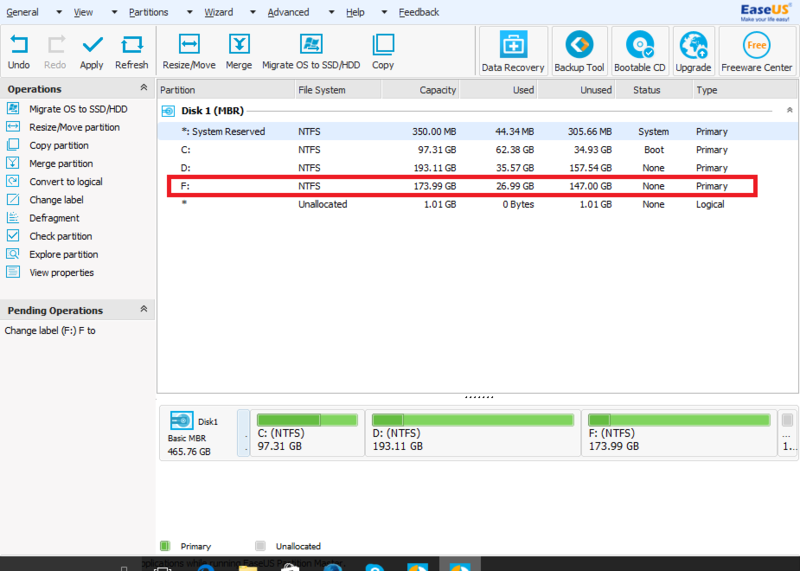 Using EaseUS Partition Manager you can convert one of your primary drives into logical drive (1 out of the three) and then create up to a total of 63 logical drives if you really want that minute categorization of your files or for any other purpose. Change Label - By default you won't have any label on your hard disk partitions. However, if you want you can add/remove labels from the hard drive. To remove label just click on Change Label button and remove any character from the input field. To add a label just select the partition, click on Change Label and enter a value. Defragmentation - Defragmentation is a maintenance activity required to keep the performance of your system in good shape. The reason for doing this that after prolonged creation and deletion of files, the memory on your hard drive has unoccupied spaces between occupied spaces which leads to longer read period during usage. So, to take care of this problem we go for Fragmentation. This is also available as a native Windows Disk Utility tool or you can do it through EaseUS Partition Manager software too. You have to do this task each partition wise. Set Active - You can use this option to change the default booting OS. This will make the partition that you set as Active to be your boot partition. Use this cautiously because seting the wrong partition as Active will lead to boot failure on restart of the system. Check Partition - This option can be used to check the health of the partition. It will look for any memory corruption errors and will try to repair or block that part of the memory segment to prevent and failed write on that block of memory which can cause crash or performance issues for your system. Explore Partition - Just in case you are not able to access your hard drive directory structure, which I have personally seen quite often in Windows XP after a virus attack, you can use this feature of EaseUS Partition Manager to access the partition and get your files. As we can see, there are a lot of features that EaseUS free partition manager is providing for Home users. There are even more powerful features which I am sure enterprises would appreciate to have handy like Free lifetime upgrades, technical support, support for larger hard disk sizes and more which you can check out here. This is a go-to tool for all your disk partition related requirements and the best thing is that you can first try it for free on your home device and then decide to take it to your company. It even supports RAID systems and remove drives! EaseUS is a tool which can give a run for money even to some premium software and is therefore highly recommended utility to have on your computers.